Creating incentives for all employees to improve safety in the workplace means that everyone collaborates to create a safer work environment. You can increase employee engagement while meeting OSHA requirements by creating structured incentive drawings that reward employees who identify and/or fix safety hazards. A truly open participatory program will prevent employees from hiding incidents—an important factor in OSHA reviews. 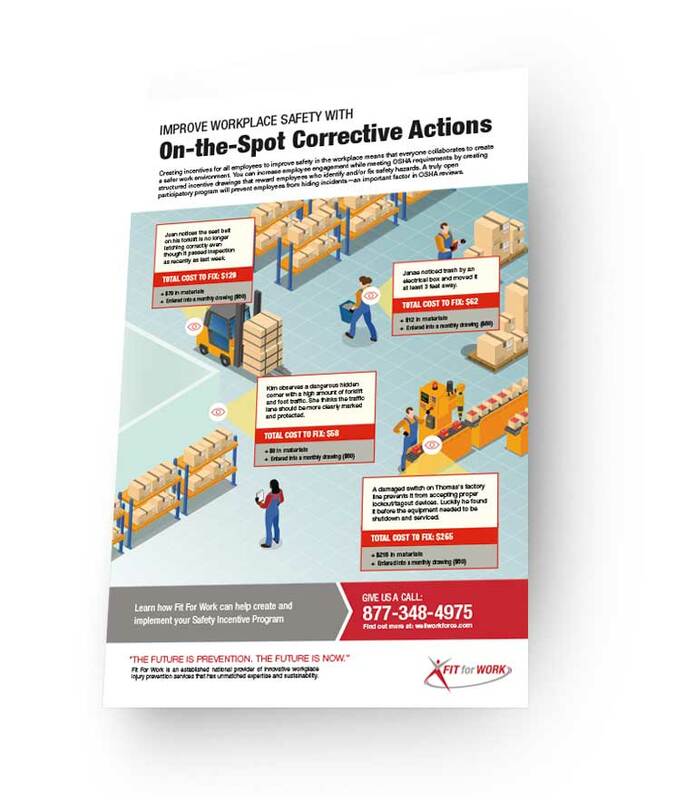 Download our printable infographic to learn how to save money with a workplace safety incentive program.